Ultimate Ears or UE is a sub brand of Logitech and they have been making some great audio accessories for mobile phones. The latest to come to the Indian soil is the UE Wonderboom Freestyle Bluetooth speaker that comes in a variety of colours. We call it the grenade design as it reminds us of a military grenade, especially when you look at the Avacado colour of this speakers. So let’s start by talking about its design and built. 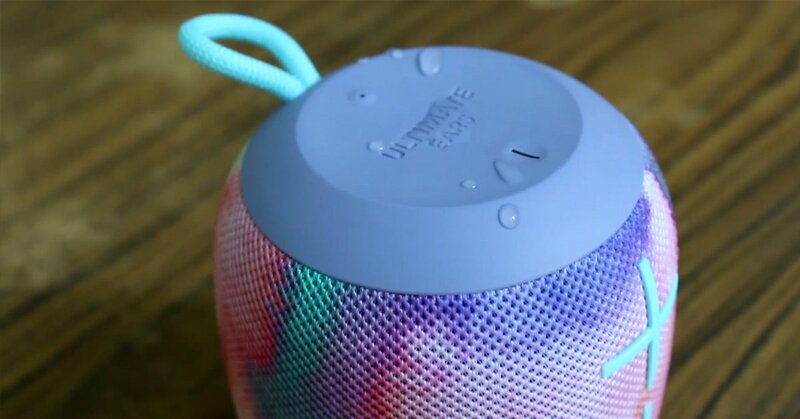 The UE Wonderboom Freestyle Bluetooth speaker is a rugged BT speaker that can be dropped from a height of up to 5 feet and nothing will happen to it. We tried it couple of times and really it didn’t wither at all. 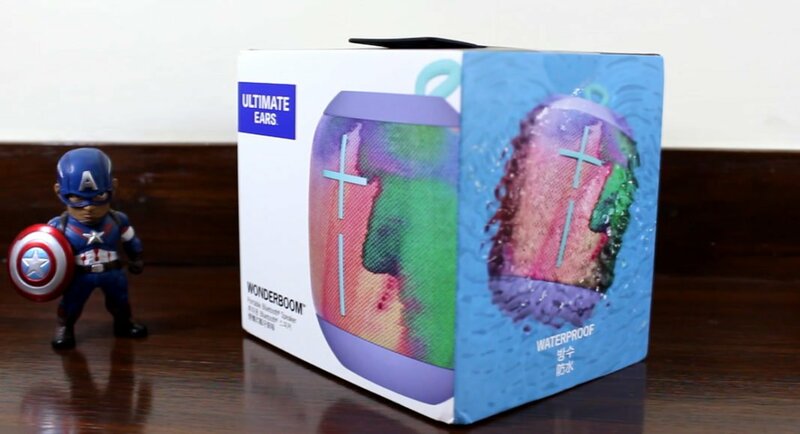 Over that, this speaker has IPX7 rating, which means it can be submerged in water up to 1 meter for 30 minutes and it will still be able to play your favourite tunes after the dip. We tried that too and it worked as it worked before, just wipe the water off and play the tunes as is. The power and BT buttons are located on the top along with the play and skip button, which is basically the logo of the device. The front features the volume up and down buttons which you cannot miss because of their exceptionally large size. The rear bottom part hides the charging port. Mesh cloth and rubber is what this device is made up of. It also comes with a hook loop in case you want to hang it somewhere around the house. Also, you can pair it with one more UE Wonderboom speaker to get that extra sound when throwing the party or having friends over on game night. Setting it up was a no brainer and we were up and running in under a minute. Just turn on your mobiles Bluetooth, press the power button followed by the BT button on the speaker and pair the devices. Now for the fun part—its resonance. It is mind bogglingly loud. It is so loud that it can wake the neighbours up. We did not expect this much sound from a small device like this. The bass is thumpy and the highs are clear, lows not so much. The battery backup is good too, we got about 9.5 hours of playback from this device. All in all, a great buy for Rs 6,995 and oh yes, the wireless range for UE Wonderboom Freestyle Bluetooth speaker is 100 feet and it works through walls as well. Sahiba Seth is a student, pursuing English (Hon) from Delhi University. She has been a trainer of HYTSE (Helping Youngsters To Speak English) in her school. She loves to interact with people and she is crazy about gadgets like mobiles and cameras. She likes to read and search about gadgets, and their features. She loves to stay in tune with the happenings of Hollywood and Bollywood. Also, she is passionate about reading novels and creative arts.